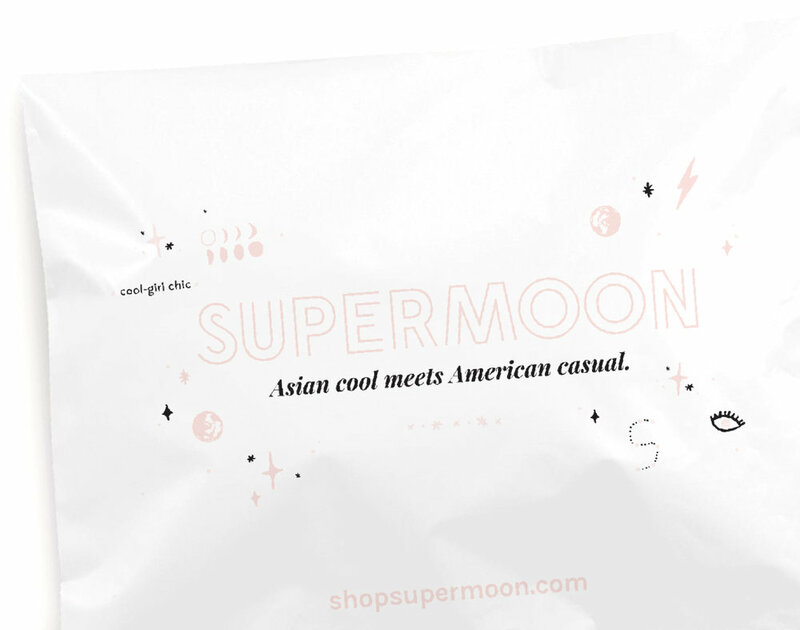 Supermoon provides expert curation to the girl focused on affordable quality and effortless vibes. It is set apart by their east meets west cool-girl style. Supermoon's branding was directing inspired by its name and female target audience. Its brand features a muted color palette and lunar-inspired illustrations.